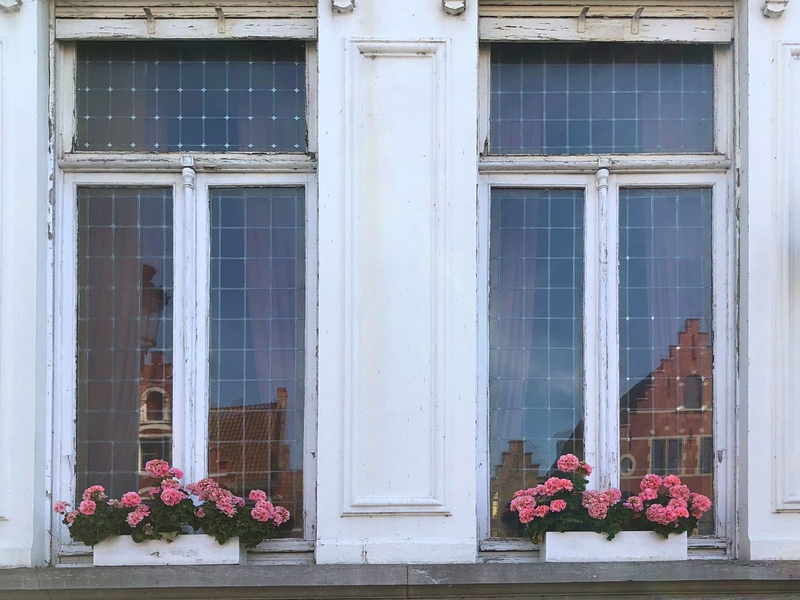 Decades ago my parents told me how beautiful Bruges was, and I’ve been longing to visit ever since. We finally made it now, and it was extra fun to be there with the Germains. Laura mentioned that Bruges, with its network of canals, is known as the “Venice of the North.” I disputed that nickname, since I have long known St. Petersburg, Russia as the “Venice of the North.” So I googled that expression only to learn the alarming news that there are at least 40 pretenders to that moniker scattered across the northern hemisphere. At a glance through that long list I’d say that Amsterdam and St. Petersburg have the strongest claims, but I guess I’d better get to all the rest before I pass judgment. 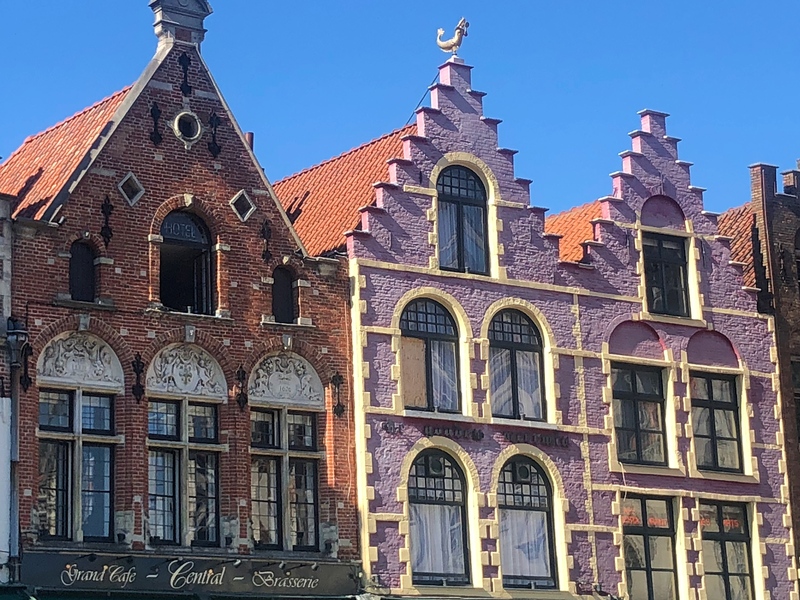 Nonetheless, Bruges is a gorgeous place with its calm canals, lively squares, medieval towers, and distinctive Flemish architecture. 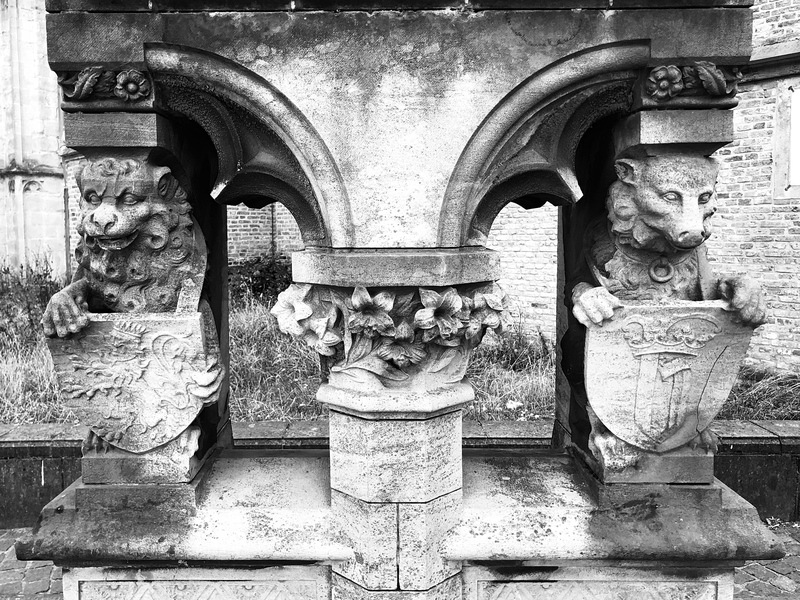 Some great contemporary art punctures the medieval landscape of Bruges. 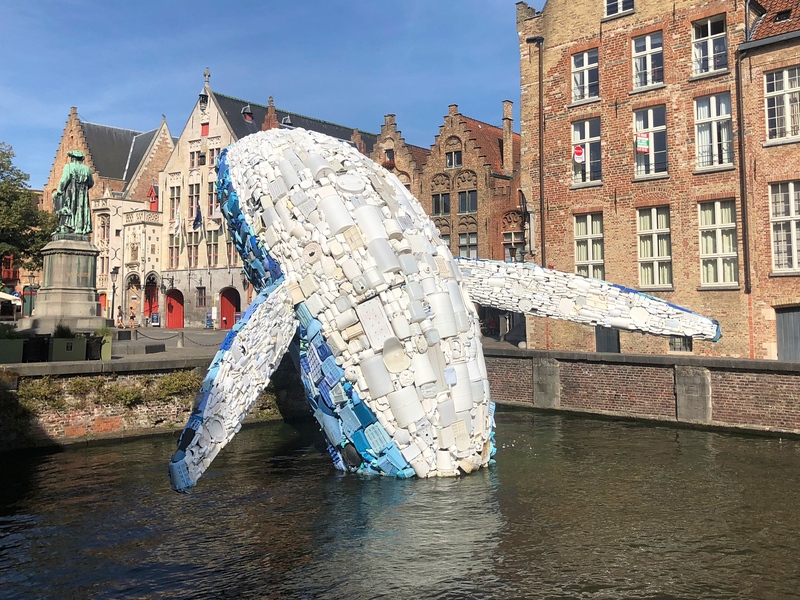 In this case it’s know as “Skyscraper (the Bruges Whale)” and it’s made of plastic waste removed from the ocean. 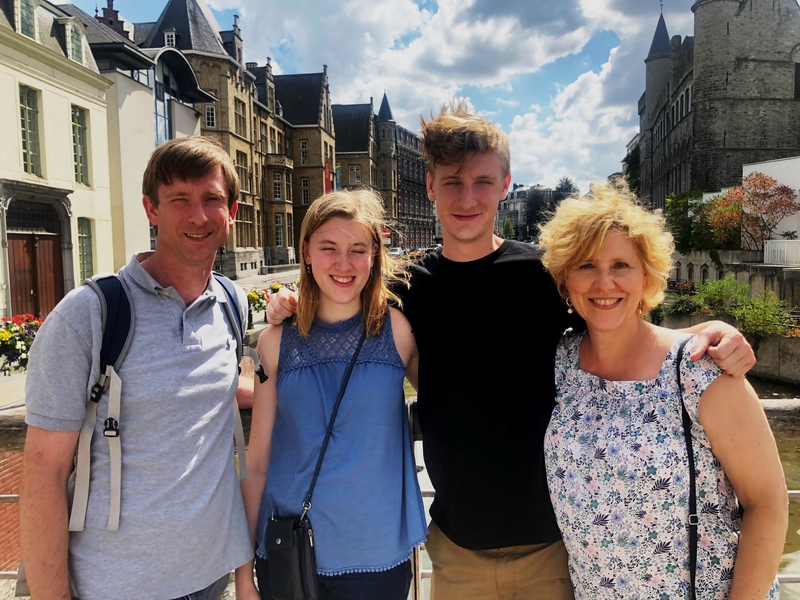 We’re traveling for week in Belgium with our friends Dan & Laura and their kids Charlie & Elizabeth. 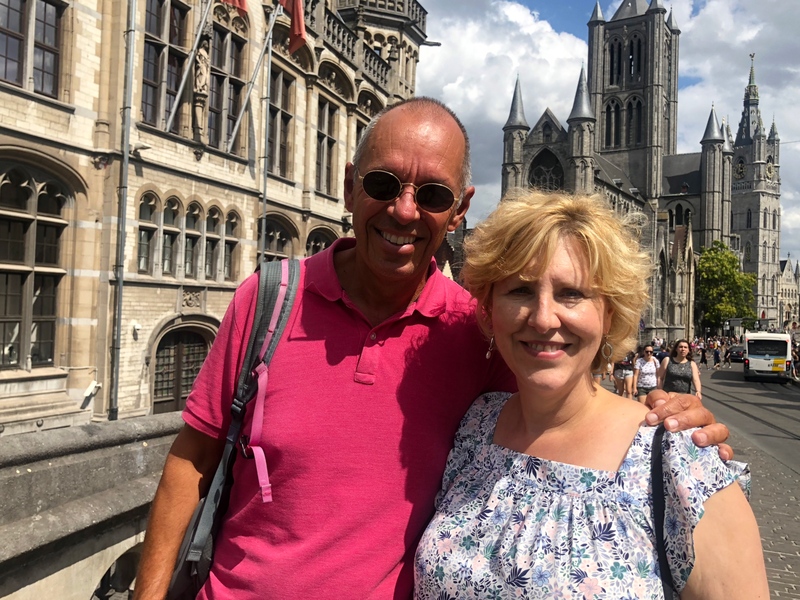 Our first stop is Antwerp which I learned to my surprise is the largest city in Belgium though Brussels has a larger metropolitan area. 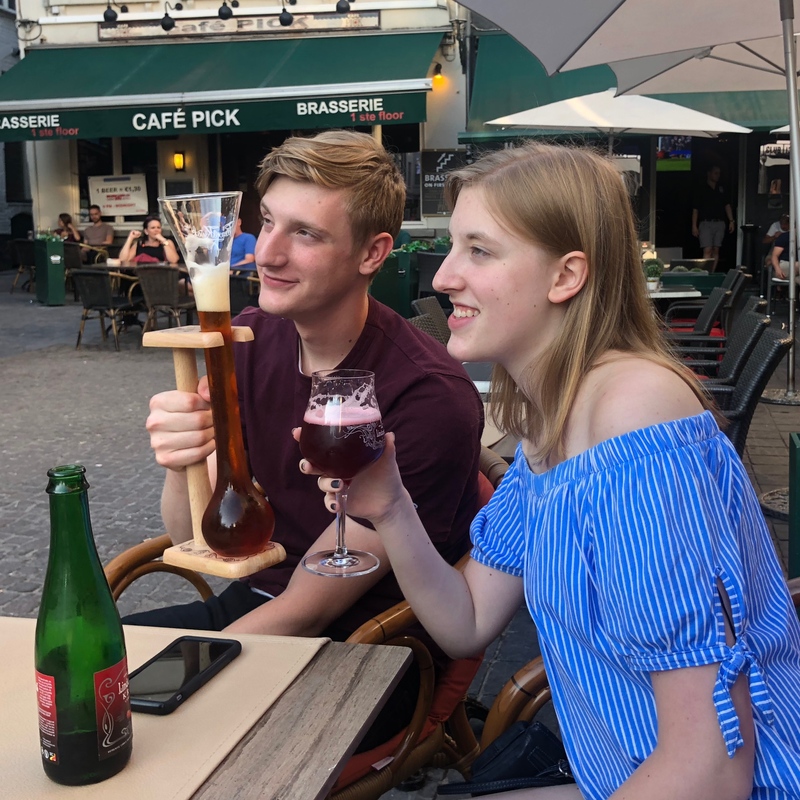 It’s prominence is a result of the port, which to this day is the second biggest in Europe (behind Rotterdam, neither of which would I have guessed would be so high on the list). During Antwerp’s golden age in the 16th century it was even more prominent. 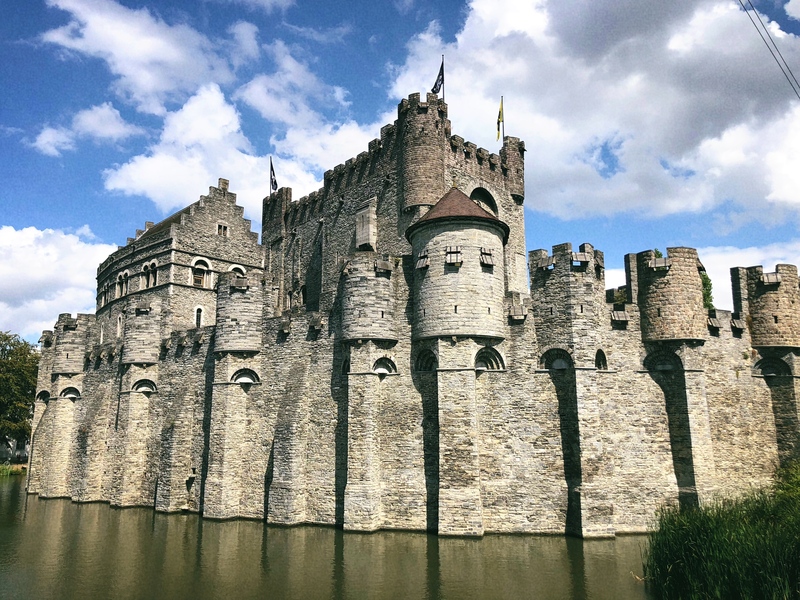 For a time it was the second largest city in Europe north of the Alps and one of the major financial centers of the Western world; an enormous share of the wealth from the Age of Exploration at that time flowed through the city’s banks. 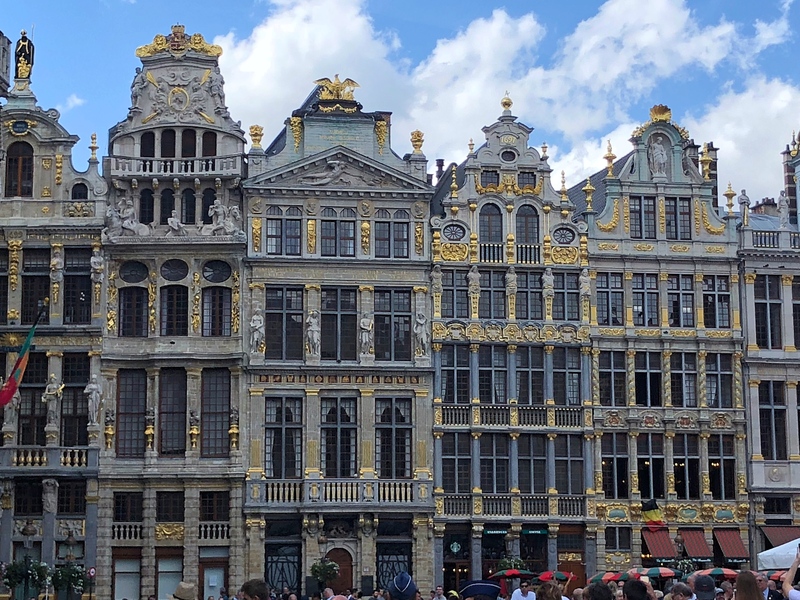 The result today is some wonderful architecture that’s still standing as well as a history of artistic excellence; it was, after all, the home of no less than Peter Paul Rubens. Thus the major attraction for us at least was Cathedral of our Lady which holds four Rubens paintings. 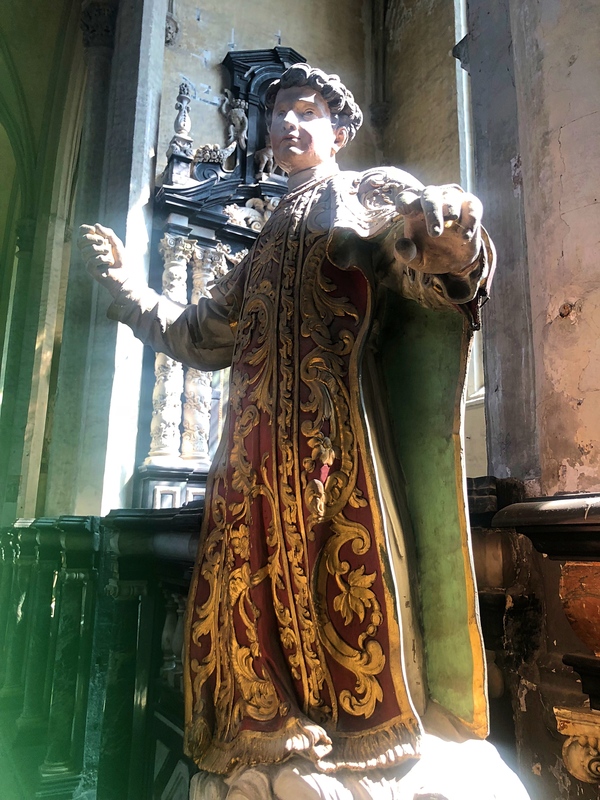 Another church worth seeing was St. James, where Rubens and his second wife Helena Fourment. Peter Paul Rubens’ home in Antwerp includes many paintings by artists he admired but also some of his own works. 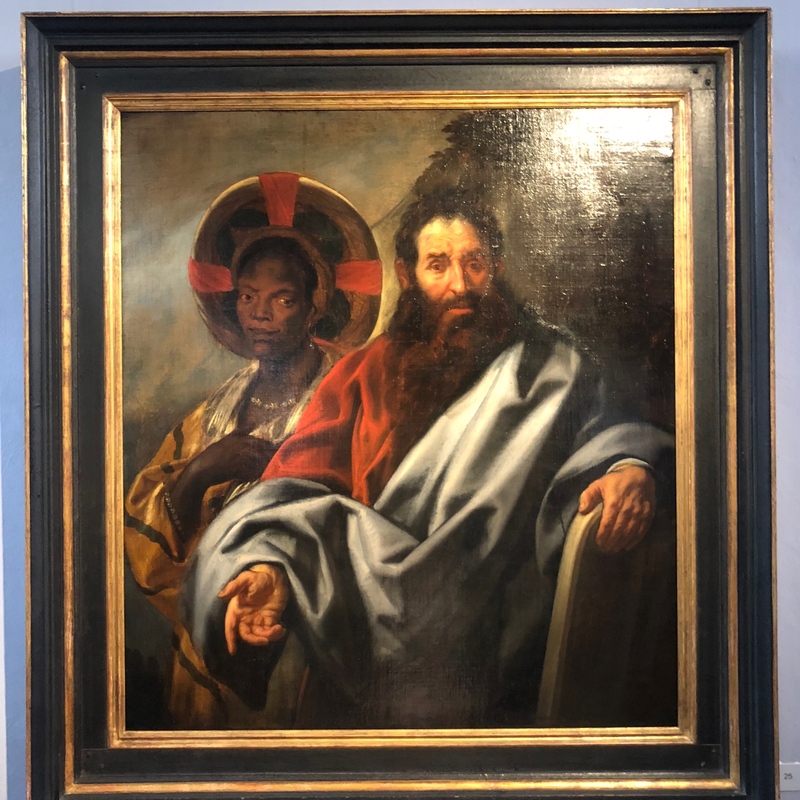 This one, titled Moses and his Ethiopian Wife, really caught our eye. Wait, Moses had a black wife? Yes indeed and the artist here, Jacob Jordaens, wanted you to know it. 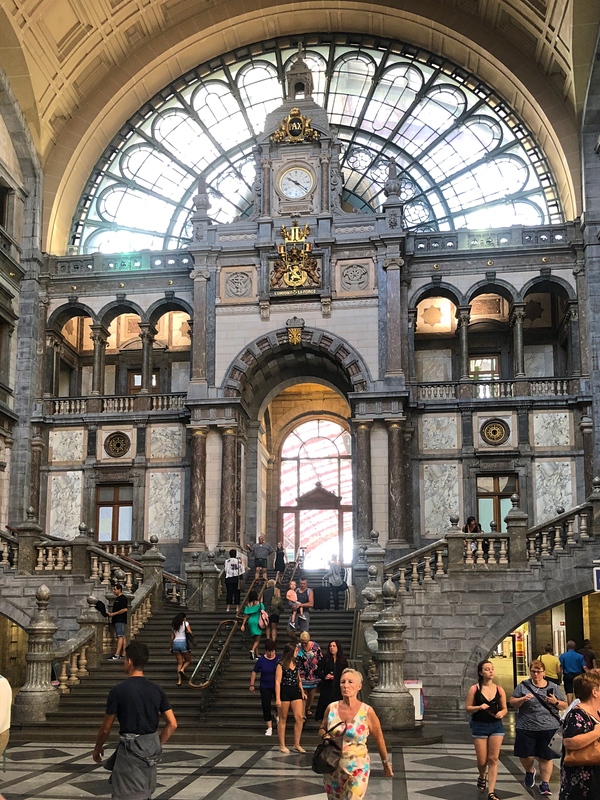 We had but three nights in Antwerp and one of the days we left the city to take a train southwest to Ghent. 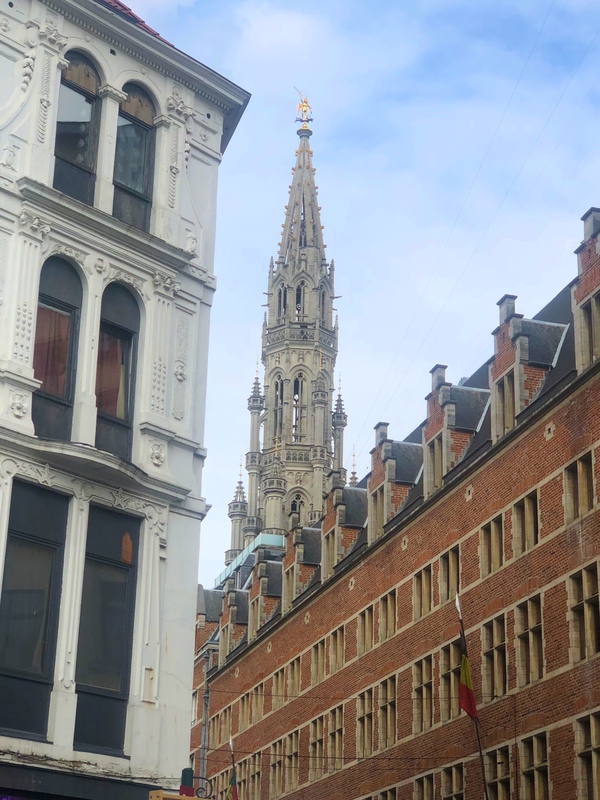 If I thought Antwerp was a beautiful city – and I did – we all thought Ghent was a seriously beautiful city. 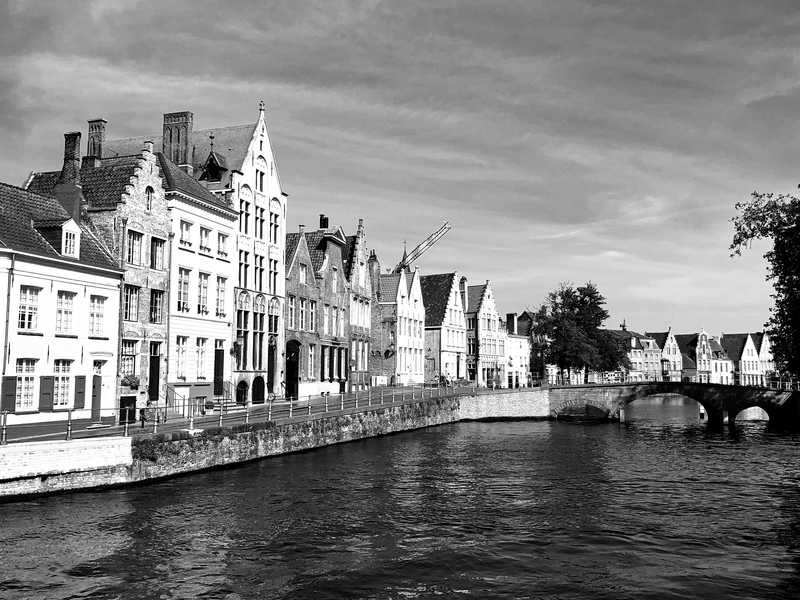 Ghent was also once a rich and important city, center of what was then Flanders’ wool industry. And as we saw in Antwerp when those old Dutch merchants got rich they built some nice pads. 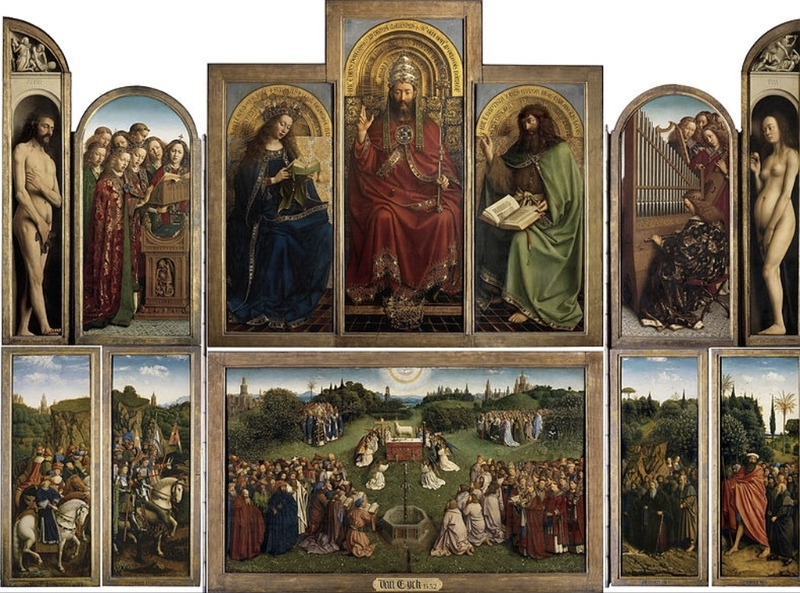 The artistic masterpiece in Ghent is the Ghent Altarpiece by Hubert & Jan Van Eyck. 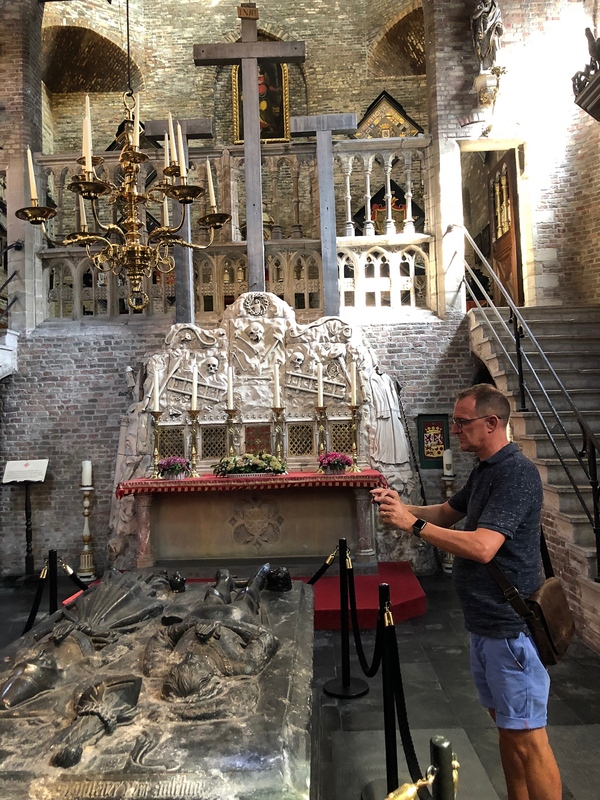 The 15th century piece – which spent much of WW II buried in a salt mine for protection – is kept in a somewhat claustrophobic room in St. Bavo’s Cathedral where a weird guy comes in at 1:00 PM every day to close the outer panels so one can see the backs as well. 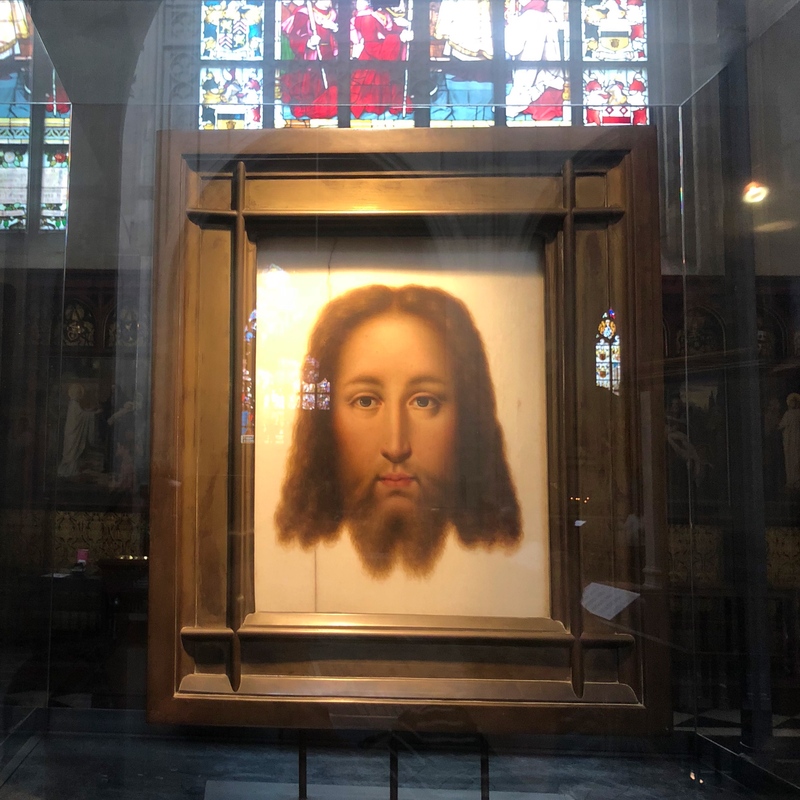 He comes in and loudly hushes everyone (who have become impatient because he’s at least 10 minutes late) before muttering “Jesus” not at all under his breath. Strange experience. Beyond the lovely old cities and some great art the real reason for going to Belgium was to hang out with the Germains. This is the third time we’ve traveled with them, after spending two weeks in Greece together in 2015 and two weeks in Italy in 2016. We missed last year but hopefully we won’t miss many more summer vacations. As I said, much of the reason we’re in Belgium is to visit the Germains. 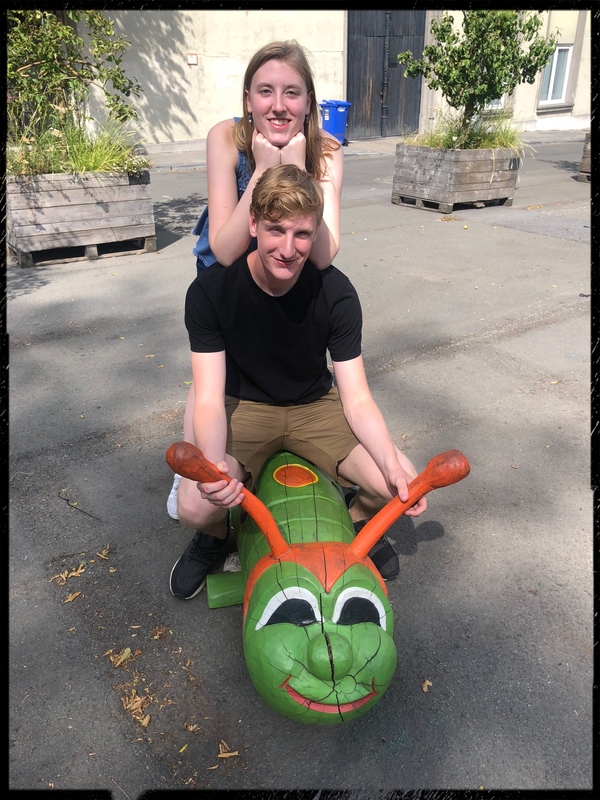 Our visits have become more fun as Charlie & Elizabeth have become young adults and old enough to share our favorite pastime. If you’re wondering, Laura is there too; that’s her arm you see in the foreground. A portrait of Nicolaas Rockox painted by Rubens’ last and most important teacher, Otto van Veen. 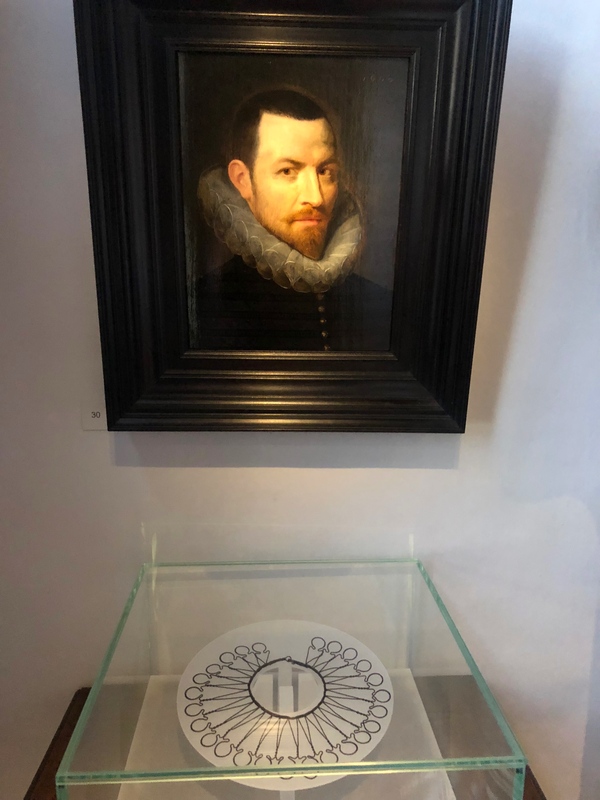 Mark liked the display of that thing below that creates the ruffled collar you see in all these Dutch paintings. 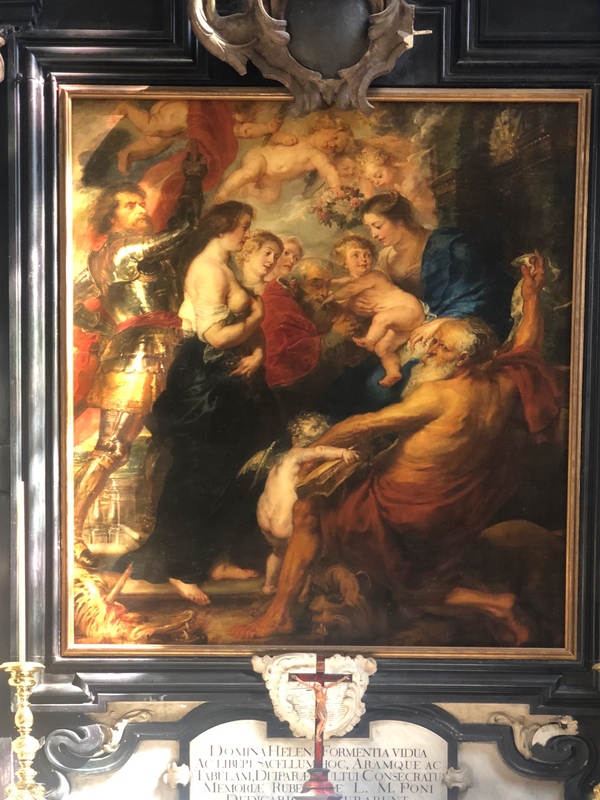 Another Rubens painting in St. James Church. In this one he has painted himself as St. George over on the left. Get it, Rubens as St. George? And in St. James church no less?? 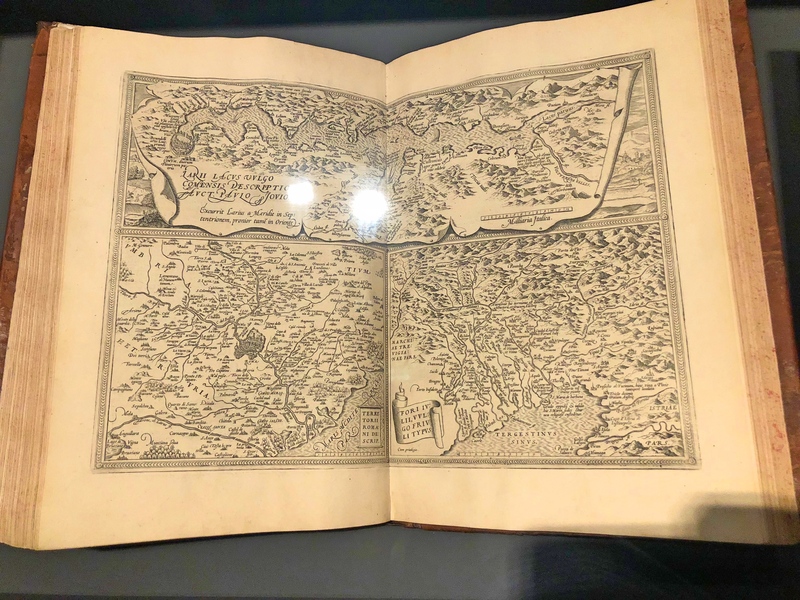 Here is one of my favorites – pages from the first atlas ever published, a 1570 collection of every map then known in the western world. I remember even when I was young just staring at atlases imagining all the amazing places in the world. And they all started with this one. 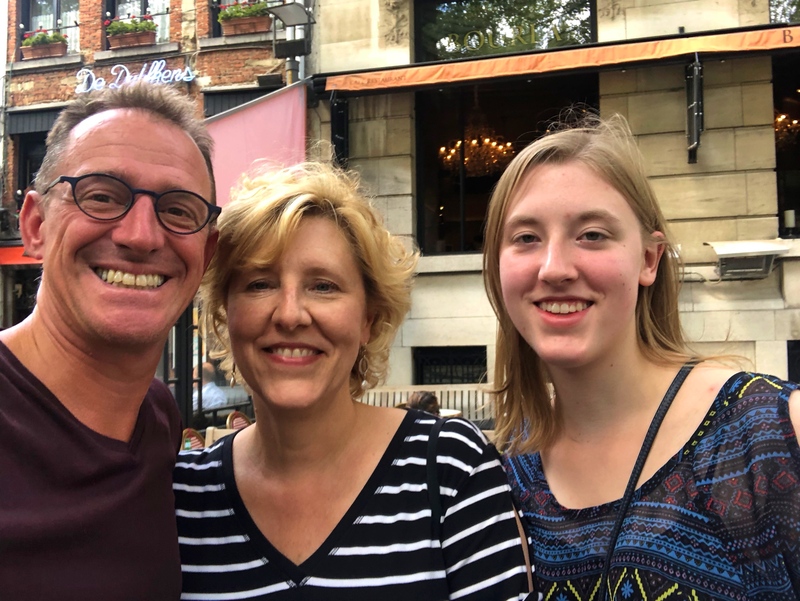 From Italy we caught a flight to Brussels to begin a three-week tour of Northern Europe with more friends and family. 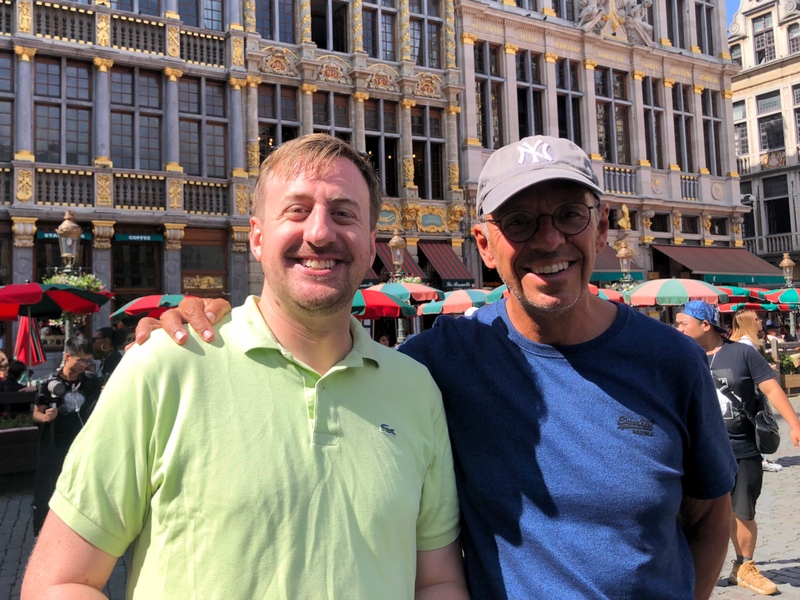 Two old friends were the highlights of our two-day stop in the Belgian capital: Matt Klaber and Napoleon Bonaparte. Matt has long been a friend, a coworker, a fellow political prognosticator, and (for Jim) a fellow Minnesotan. 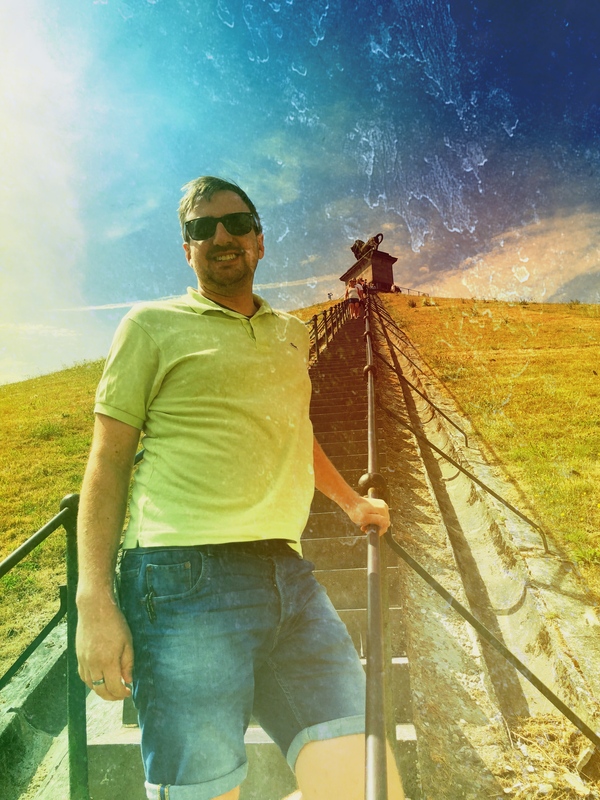 He’s always wanted to live abroad, so six months ago he started a job in London. 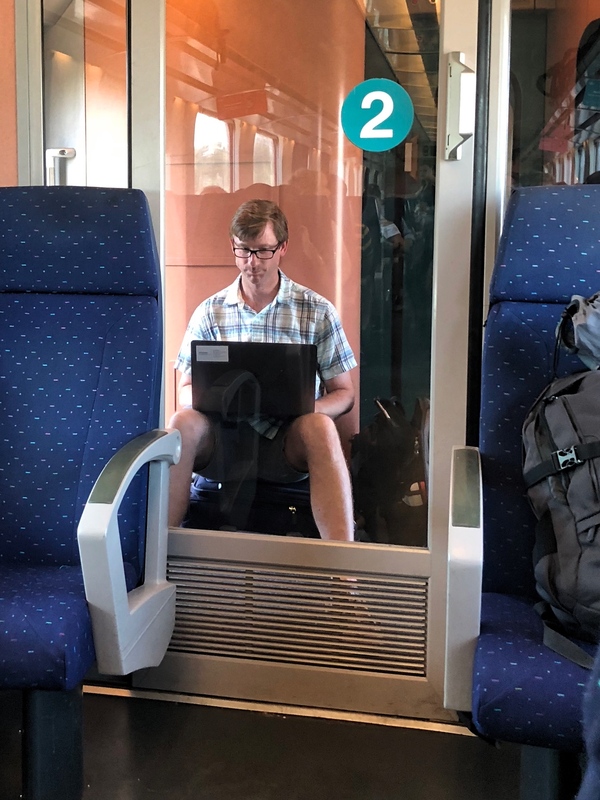 Now he is enjoying frequent easy visits to various parts of Europe on weekends. 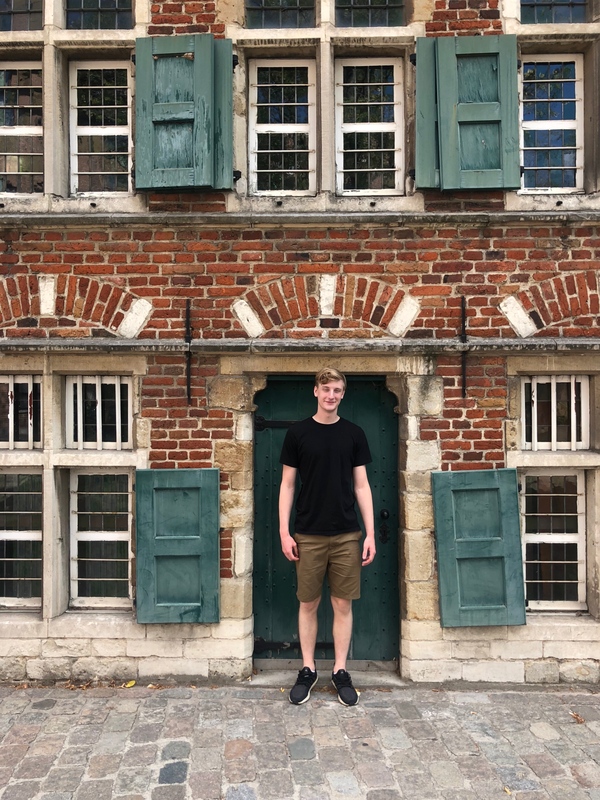 So a couple months back he checked in with us — any weekends free in Europe this summer? 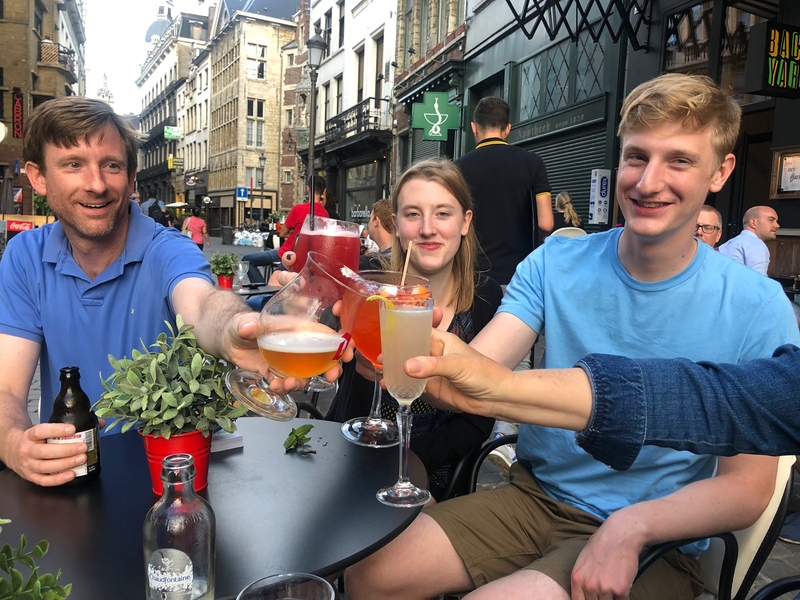 We had this little weekend stop in Brussels, transitioning between other plans, so Matt bought train tickets and hopped over. 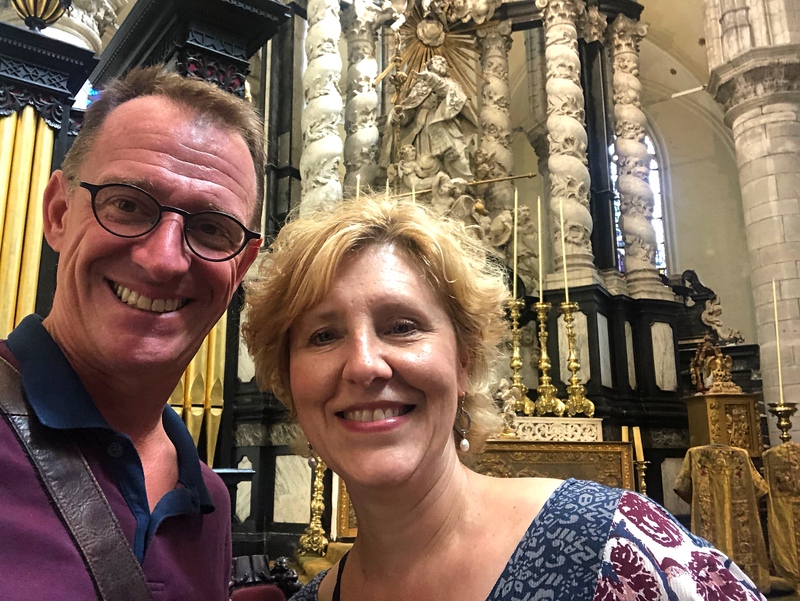 So we bounced around the usual baroque squares, towering gothic cathedrals, and shady parks that make up this glorious city. 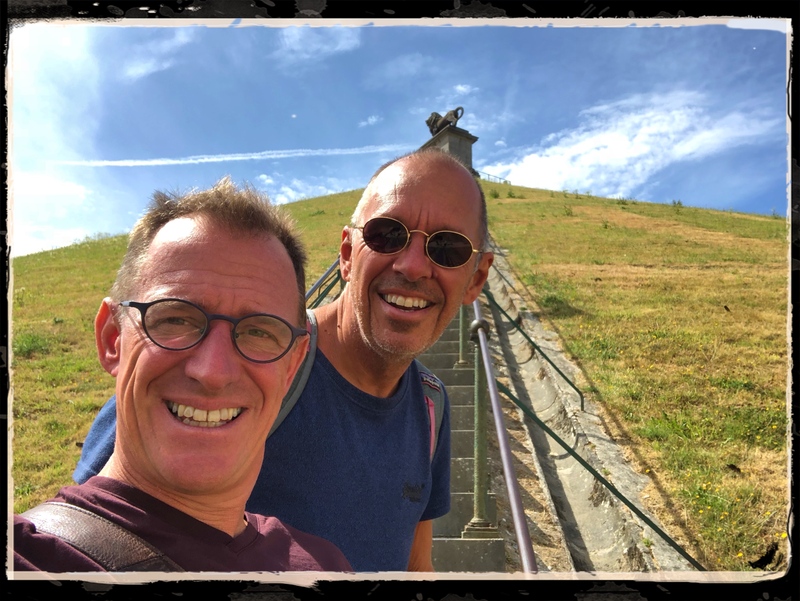 But when Matt suggested a trip down to the battlefields of Waterloo, we got a little more adventurous than we might have otherwise been on such a brief stop. And it was well worth it. 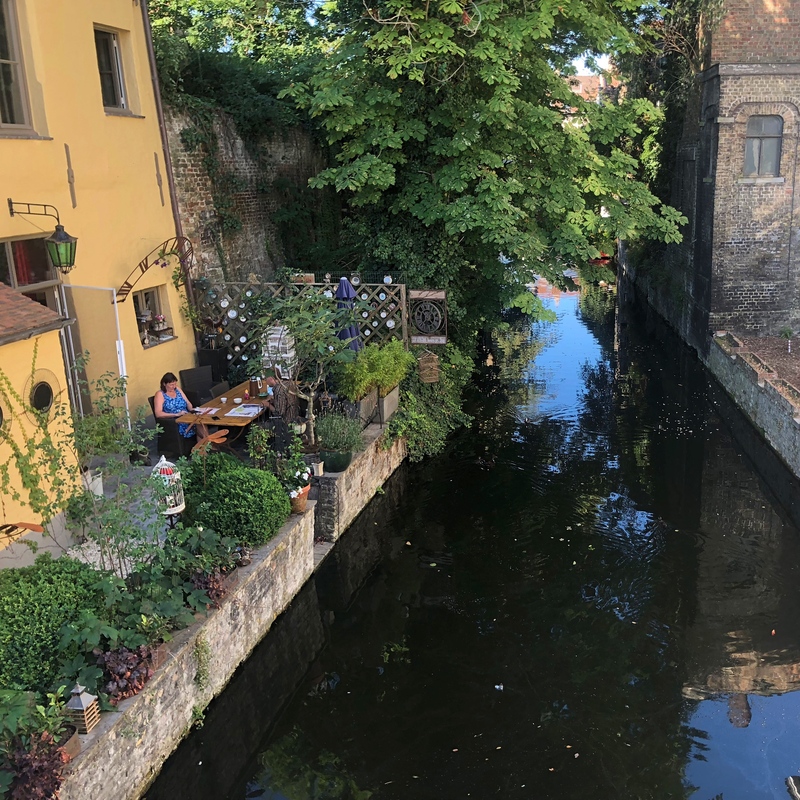 It takes just 30 minutes on the train to get from central Brussels to the little town of Braine l’Alleud, then another 25 minutes of walking to get to the innocuous looking farms where world history took such a dramatic turn. We are not the types who love lots of details about battles and flanks and cavalry and infantry. 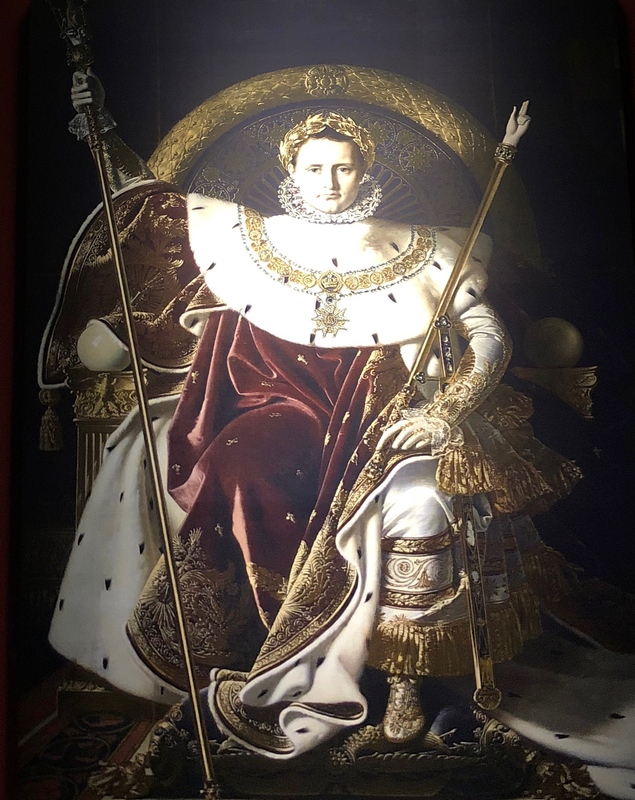 But the museum here did an outstanding job of describing the excitement and turmoil of post-revolutionary France, the void that brought Napoleon to power, the build up of his empire, and the desperation of the rest of Europe to take him down. After that, it also provided an absolutely mind-numbing amount of detail about the battles themselves, the people and equipment involved, etc., etc. Yes, I’ll admit I skimmed through that pretty fast. But all in all, this was a great stop. 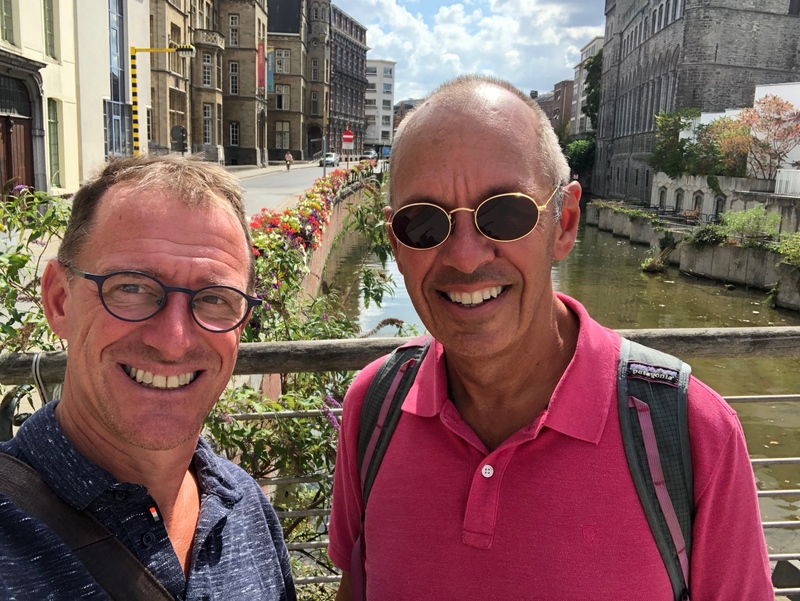 After the visit to Waterloo we walked back to little Braine l’Alleud to look for lunch. It was Sunday, so most things were closed. 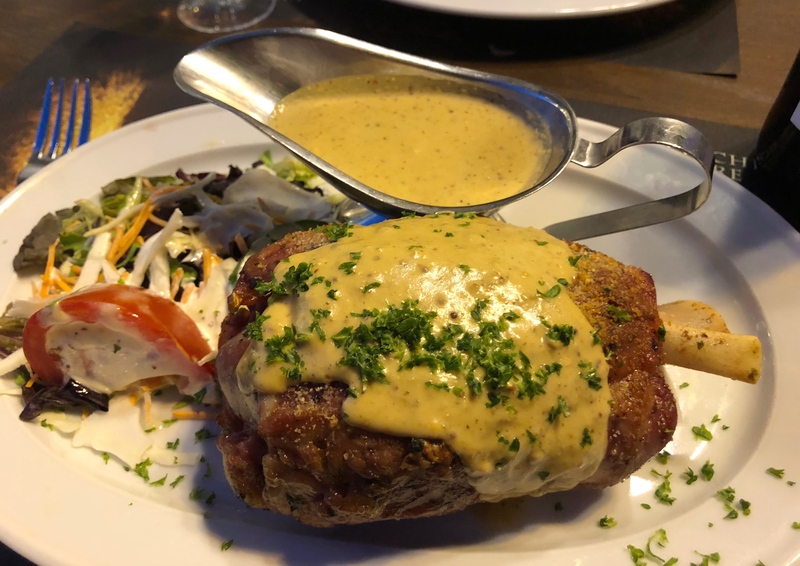 The exception was a place called Le Pavot, where the food was stunningly cutting-edge. 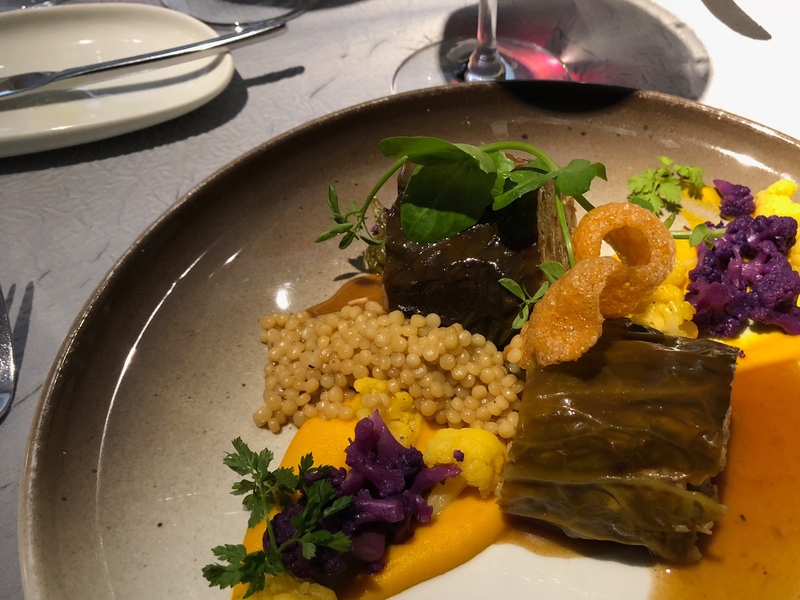 Here is chicory-wrapped veal with exotic accompaniments.